For those in academic and/or employed practice, your practice finances can seem like a black box. Whether you are salaried, on a production model or a blend of both, I encourage you to pull back the layers and gain a basic understanding of how funds flow through your organization and into your practice. Some of you who are on a fixed salary model or who are paid on a wRVU only model may wonder why any of this should matter to you. I would reply with “no margin, no mission.” Your organization simply cannot pay you money it does not collect unless you are one of those rare individuals whose salary is supported by philanthropy. Ultimately, you are the only person who can make sure that you are being compensated fairly for your work. Professional Charges: The chargemaster price for a given service. For the most part, this number is totally meaningless. This is the price that an extremely wealthy individual without health insurance would pay for the surgeon’s fee. This is still a useful measure to compare productivity between surgeons within the same department who use the same chargemaster. Professional Collections: This is the top level revenue. This is the amount that is collected from patients and insurers on your behalf. This is arguably the number that matters the most in most organizations. In private practice, this is all of the income before you subtract the expenses. How to interpret these metrics:You should get a general sense of the ballpark collections/wRVU you are expected to generate and what surgeons in your division typically generate. Take a list of your most common procedures, by CPT code, and make sure that you actually collect what your “allowed” insurance negotiated rate states you should collect. In my first year of practice, I noticed that my collections/wRVU were substantially lower than what my insurer contracts allowed. Digging further into the situation, I discovered that there was a wide variation within our department on processes related to insurance verification and collection of co-pays, co-insurance and deductibles. There were practices where all co-pays, co-insurance and deductibles were fastidiously collected prior to surgery and practices where no attempt was made at collecting any patient responsibility prior to surgery. In the era of growing high deductible plans, this led to several situations where I was paid nothing for the surgery from the insurer and was expected to collect the entire professional fee from the patient after the surgery, which tends to be a futile proposition. Clinical Productivity Bonus Models: If you are exceptionally productive compared to your contract targets, you may have a productivity bonus embedded in your contract. The following are the most common types of models. Some organizations may use a blend of the following methods. wRVU over threshold: You are paid a fixed dollar amount per wRVU for any effort above a wRVU threshold. For example, your annual wRVU target is 6,700 and you generate 7,500 wRVUS. You are to be paid $50/wRVU. You would be paid a $40,000 bonus. This model is most favorable to practices where the payor mix is poor or unpredictable. For example, trauma and emergency general surgery surgeons typically fare best under this type of model. Percentage of collections over threshold: You are paid a percentage of all collections exceeding a certain threshold. For example, in one year, you generate $500,000 in revenue. Your collection target for the year is $400,000. Your percentage of collections over threshold is 50%. You would accrue a $50,000 bonus for the year. This model is best for surgeons who have a favorable payor mix of commercial insurance plans. Revenue minus expense: You are paid a bonus based on a percentage of net revenue minus expense. For example, your collections are $500,000/year. Your allocated overhead for your own salary/billing/support staff/malpractice/supplies $400,000. You are paid 50% of net cash revenue. Your bonus is $50,000. Again, this model is dependent on payor mix and how lean your organization runs. Profit and Loss Statement:This is a document that is produced monthly or quarterly that evaluates you or your section/division/group. Even though you may have little control or input on how the overhead is allocated as this will likely be pre-determined based on some formula your organization has developed, you should look over this statement to make sure that it is at least being allocated correctly according to the formula. For example, during my first year in practice, I was re-assigned an different administrative assistant. When I reviewed my P&L the next month, I noticed that my support staff expenses had jumped significantly. It turned out that while I had switched assistants, a portion of BOTH assistants’ salaries were accruing to my cost center. Now that you are familiar with these terms, I urge you to schedule a meeting with your administrator so that you can better understand your practice finances and how funds flow through your organization. 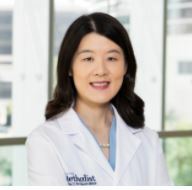 Dr. Feibi Zheng is an endocrine surgeon at Houston Methodist Hospital in the Texas Medical Center and Assistant Professor of Surgery at Weill Cornell Medical College. She attended medical school at the University of California, San Diego. During her surgical residency training at Houston Methodist, she helped to establish the General Surgery Leadership and Health Care Administration Track, an 8 year program which blends clinical surgery training with practical experience in optimizing hospital systems for improved patient care and safety. She then completed her endocrine surgery fellowship at UCLA. In addition to her clinical practice, she is the Assistant Clinical Program Director of Surgical Quality and Population Health for Houston Methodist Hospital, where she is leading the development of a telemedicine program for surgical patients who live long distances from specialized centers of care. She also currently serves on the Committee for Perioperative Care of the American College of Surgeons which works to improve the quality of care for surgical patients across the country.